Over 500 guests throughout the day joined celebrations at the brewery, which was officially opened by Tarquin McDonald, chief executive, Bath Rugby. To mark the occasion a bronze hare statue, crafted by Cornish artist Hamish Mackie, was unveiled – a symbolic gesture to mark the coming together of Bath and Cornwall following the purchase of Bath Ales by St Austell Brewery in 2016. 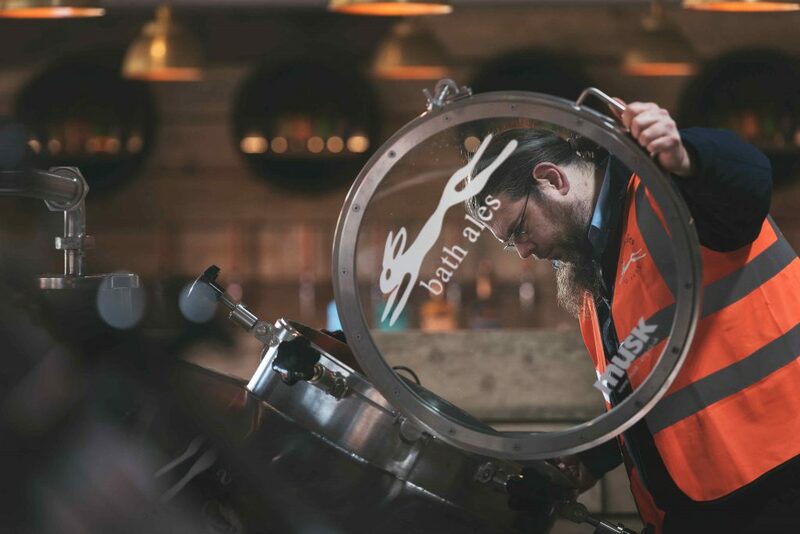 Darren James, senior brewer, who has been at Bath Ales for over 15 years, says: “Opening Hare Brewery – which we’ve built from the ground up – is a very exciting moment for everyone involved. Brewing director, Roger Ryman, who oversees brewing and production at Bath Ales and St Austell Brewery said: “From the very start of the project we’ve all shared a clear vision for Hare Brewery: to build one of the region’s most technologically advanced and fully bespoke brewhouses. To see this come to fruition today is a milestone moment for us. James Staughton, chief executive, St Austell Brewery (Bath Ales’ parent company) who welcomed guests and local officials at the brewery opening, said: “We’re delighted to be up and running, brewing beer and welcoming visitors to Hare Brewery. As the south west’s most sophisticated and technologically advanced brew house, it’s a project that we’re immensely proud of. Internationally-renowned Musk Engineering Ltd has built the new brewery at the existing headquarters in Warmley, between Bath and Bristol.